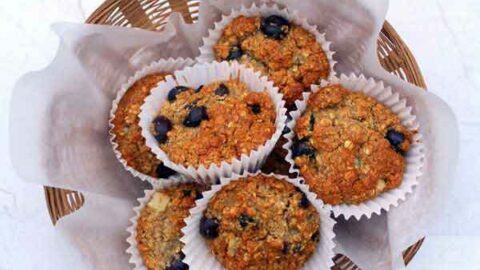 These vegan & gluten free blueberry muffins are easy to make and packed full of healthy ingredients. 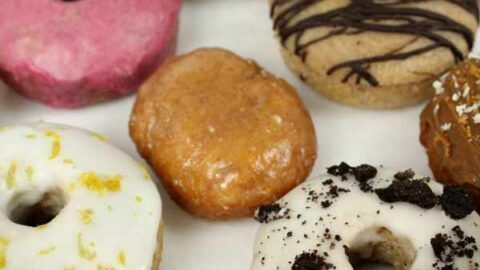 They’re gluten-free, refined-sugar free, oil-free and low glycemic! So, if you’ve been asking yourself – are blueberry muffins vegan? You found the recipe you’ve been searching for. Blueberry muffins… They’ve been a popular breakfast food for decades. But did you know they’re actually not as healthy as you might think? 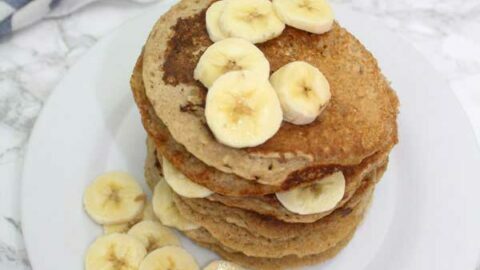 People tend to assume that just because something is a “breakfast food”, it automatically must be healthy. I definitely thought that too. And if we’re being completely honest here, I sometimes used to eat 2 or 3 in one morning! All the while thinking I was the ultimate health queen. But the truth is, traditional muffins contain loads of white sugar, processed flour, and animal fats. It’s no wonder that my old breakfast treat would leave me feeling weak, shaky and tired after a few hours. I’ve learned a lot since then and over the years, I’ve grown more and more knowledgeable about veganism and healthy food in general. Yes, I do love to create and eat junk food vegan desserts, but I only eat these things occasionally. And I still stick by my long-held belief that a healthy breakfast is so important! Have the right food for breakfast, and it can help you concentrate better, make you feel more energized and stop you from snacking on junk later in the day! As it’s Veganuary and the beginning of a new year, most people are trying to be a bit healthier and some are trying out veganism for the first time (good job, by the way). I also struggled to find vegan blueberry muffins which makes me sad. The first thing I realised was that I could keep my muffin mix together using apple sauce as a substitute for butter which makes these muffins oil free. Apple sauce is generally great for binding in vegan baking without the need for oil and recommend you use it as a healthier alternative too. But the best part is, they taste amazing! 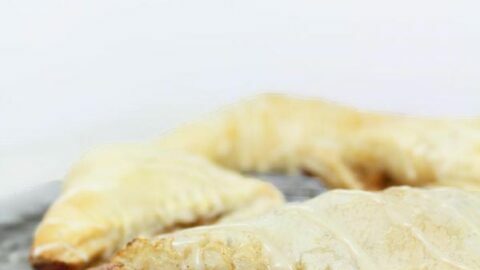 They are light and fluffy, and super easy to make! 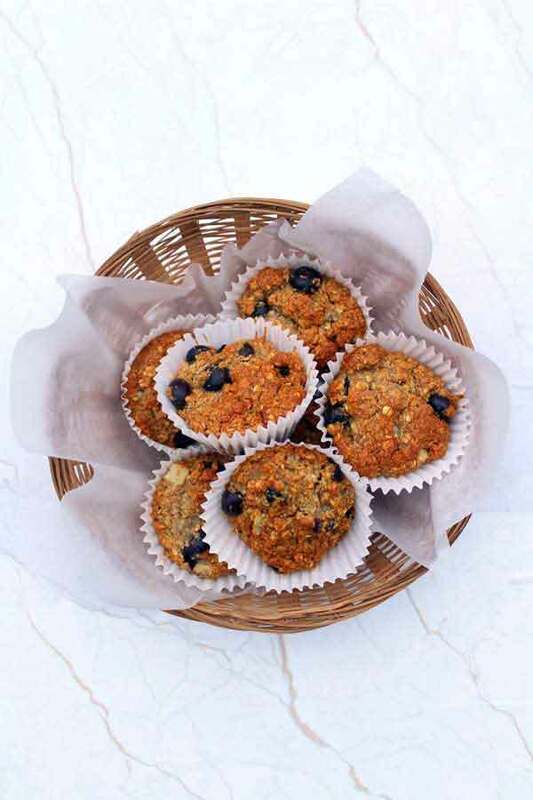 What makes my blueberry muffins gluten free? 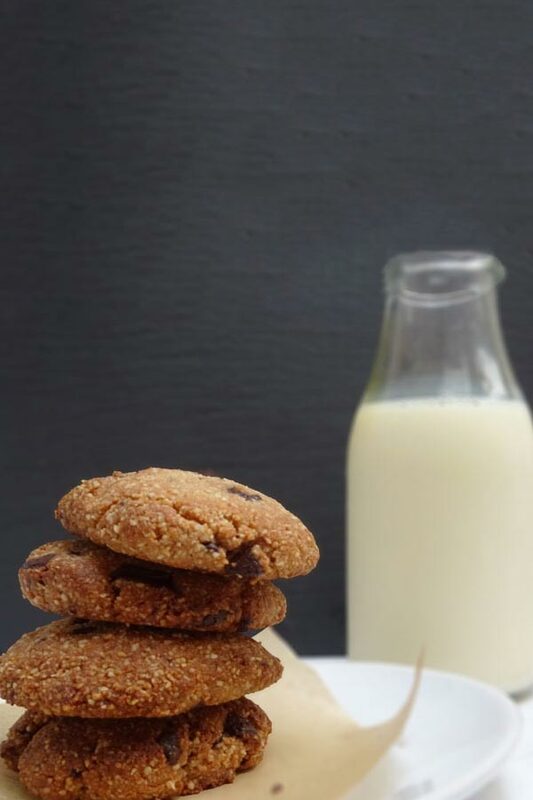 This recipe uses oatmeal as the main ingredient and the only grain, you can easily substitute it for gluten free oatmeal which is readily available to buy. The rest of the ingredients are naturally gluten free making it simple to adapt by simply switching your oatmeal. 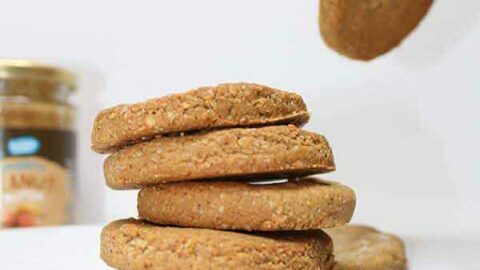 They’re also sweetened with agave or maple syrup (your choice) which has a gentler effect on your blood sugar. That means they’ll leave you with tonnes of energy because there’s no sugar crash afterward. Agave is my favourite choice for a low glycemic sugar alternative unlike refined sugar Agave has a low glycemic index of 30 which is even lower than an apple at 54! 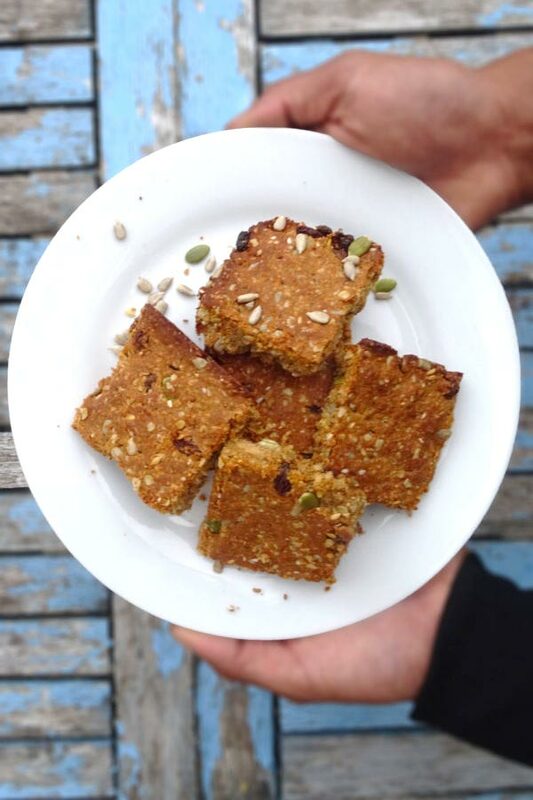 Therefore, not only are these vegan & gluten free – this recipe is refined sugar free, contains only natural sugars and is free from all nasties. 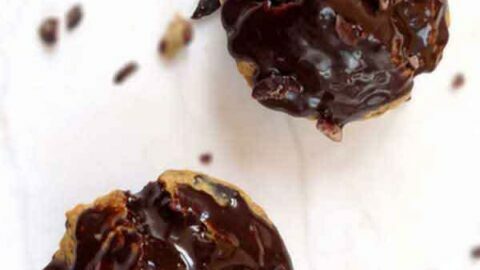 Another bonus of these muffins is the convenience factor. You know those mornings when you quickly rush out the door, stressed, late for work, and starving because you didn’t have time for breakfast? 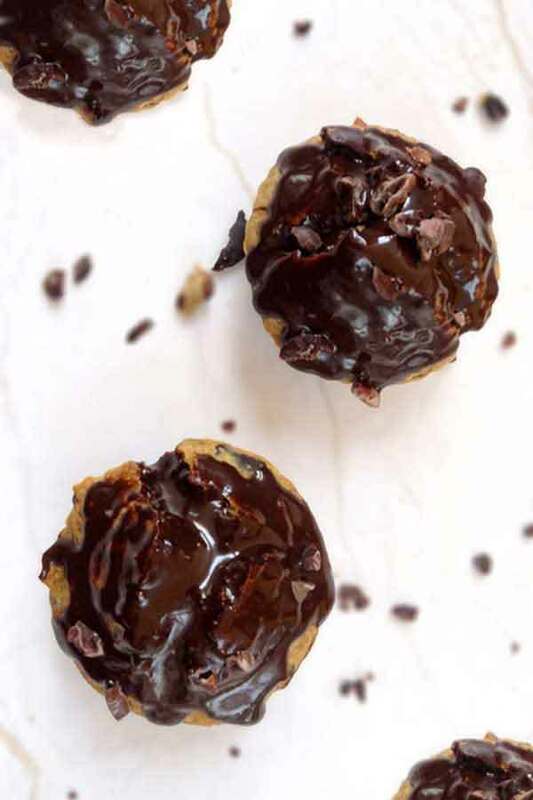 These easy vegan muffins eliminate that problem right away. 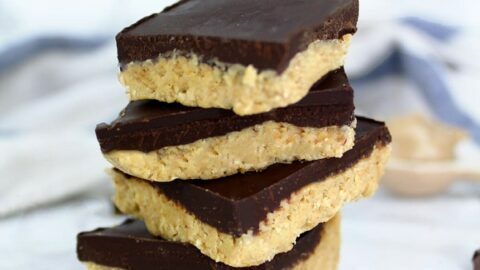 Just make a batch ahead of time then grab and go in the mornings! 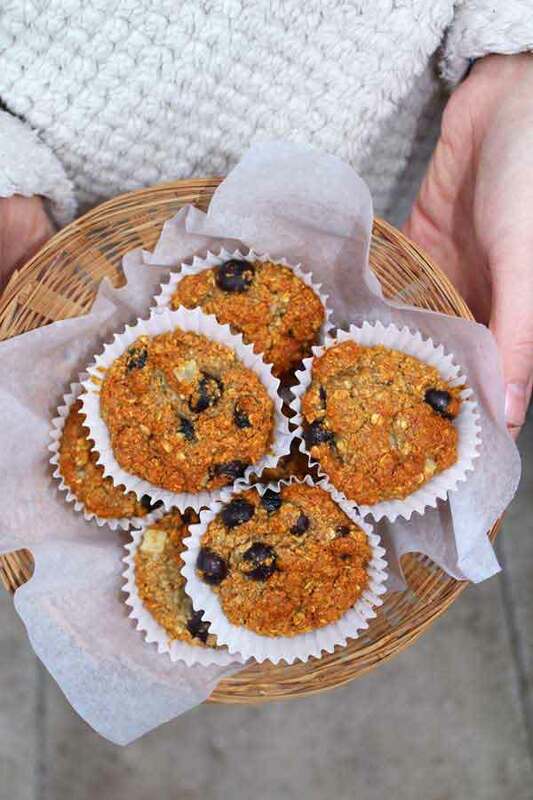 Healthy muffins for breakfast that you can eat on the go… Doesn’t get better than that. I am I right? I always prefer to use fresh ingredients but I also know that it’s super convenient and often cheaper to buy frozen instead. If you plan on using frozen blueberries for this recipe I recommend that you thaw them out fully before use. After that you can use them just like fresh ones following the recipe. 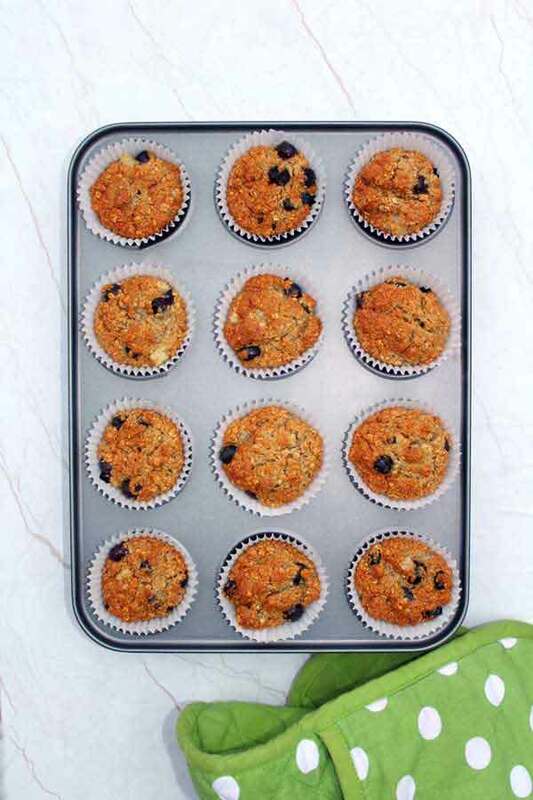 Before I started Baked by Clo (and after learning about the importance of a healthy breakfast) I was always on the lookout for breakfast muffin recipes to make for myself. But whenever I Googled “vegan & gluten free blueberry muffins”, I was often left feeling stressed. At that time, trying to convert cup measurements from US blogs was so confusing for me. 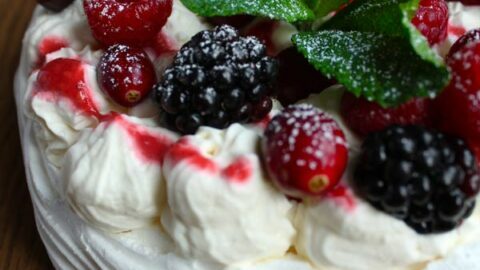 That is the very reason that I decided to create my own recipe to share with you all! 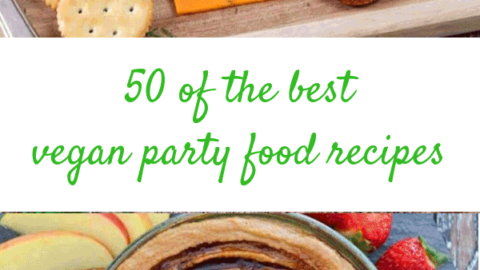 Because I always create and record my recipes in grams. But if you’re in the US, don’t worry. I’ve also converted the recipe to US cup measurements for you below, so you don’t have to. I hope this simple vegan & gluten free blueberry muffins will help make your Veganuary breakfasts a little bit easier! If you give them a go, tag me on Instagram to let me see! Healthy vegan blueberry muffins that are simple and delicious. 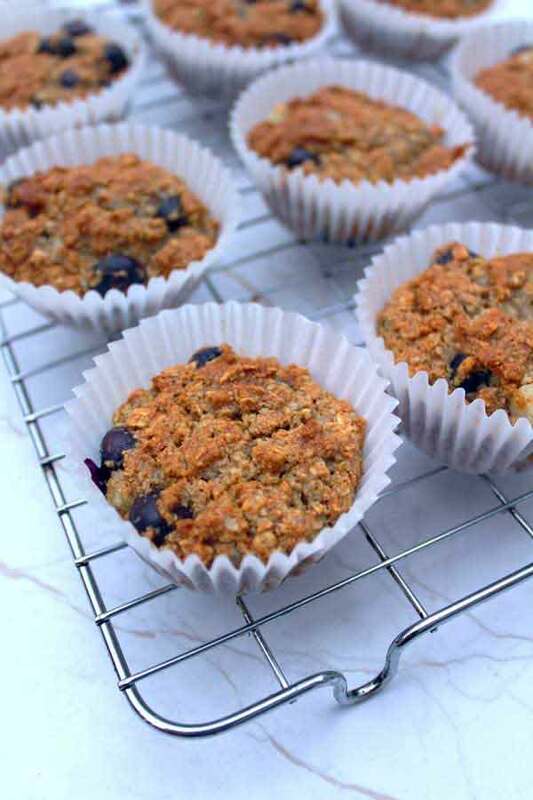 These light and fluffy blueberry muffins and oil-free, refined sugar free and gluten-free. Line a muffin tray with 12 cupcake cases. In a large bowl, mix together the ground almonds, oats, ground oats and baking powder. In a separate bowl, mix together the vanilla extract, plant-based milk, applesauce and agave (or maple) syrup. Pour in the dry mixture and combine to make a thick batter. Add the blueberries and gently fold in. Spoon the mixture into the cases and bake for 15-18 minutes until a skewer comes out dry. 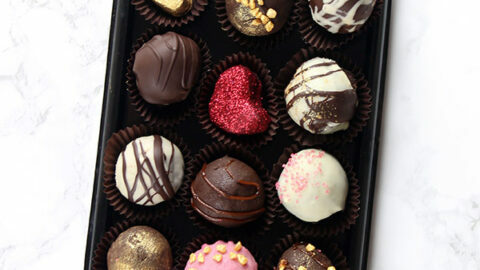 Leave to cool then enjoy immediately or store in an airtight container for up to 6 days. Work quickly to avoid the oats soaking up too much moisture and becoming gloopy. If the mixture becomes too thick, add more milk as required. Want more healthy recipes? Check these out!